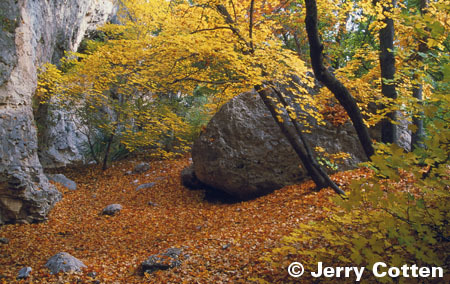 Take a virtual fall color tour through Lost Maples State Natural Area and McKittrick Canyon. 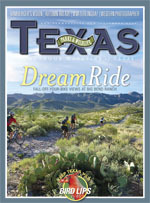 As days grow shorter and cooler temperatures offer respite from the brutal Texas summer heat, autumn’s arrival heralds the season of walks in the woods, fireside evenings and Friday night football. For many, the mention of autumn color evokes postcard images of quaint New England villages nestled in landscapes of blazing foliage. While it’s true that fall color in Texas is not as widespread as in other parts of the United States, particularly the Northeast, the stands of color we do have are unique in their own right due to the diverse climates and geology in a state so large. From the hardwood forests of East Texas to the mountainous desert of the west, nature finds a variety of quiet places to display its full palette in an annual explosion of color that rivals other parts of the country. 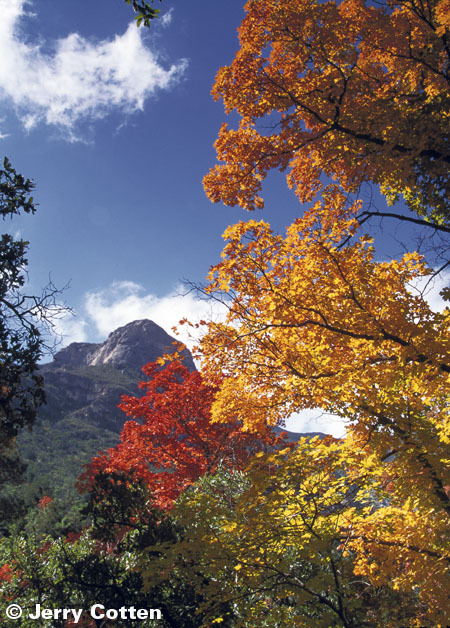 If fall color can be considered artwork, then McKittrick Canyon at Guadalupe Mountains National Park and Lost Maples State Natural Area are Texas masterpieces. Although separated by more than 300 miles, McKittrick Canyon and Lost Maples State Natural Area share similarities. The delicate beauty found in these relatively small sanctuaries stands in stark contrast to the very un-delicate desert scrub and cactus country that surround them. 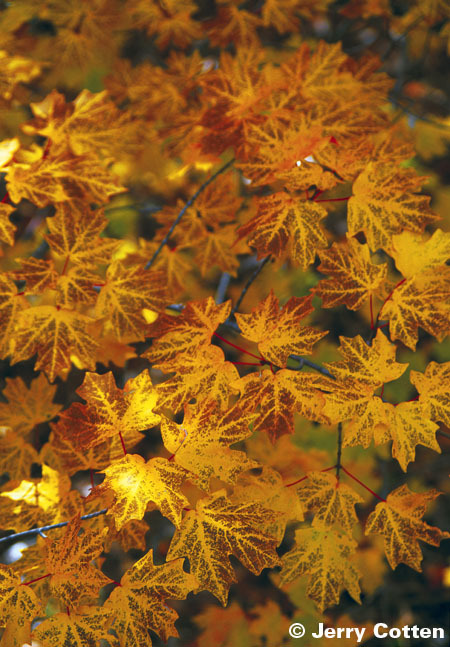 Sheltered canyons combined with abundant water sources create the optimum micro-environments for a variety of color-producing trees, including the star of the show — the big-tooth maple. 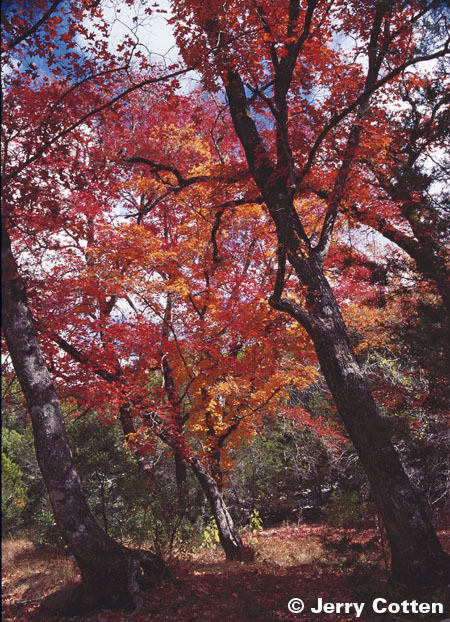 Other supporting players such as the Texas madrone, alligator juniper and ponderosa pine in McKittrick and the red oak, lacy oak and sycamore in Lost Maples create a multi-hued tapestry from a cosmic color wheel of reds, oranges, yellows, browns and greens, complemented by a blue autumn sky.